I’ve eaten a lot of proats for breakfast lately. Because they’re warm and comforting, and I don’t have to engage my neural pathways too much to make them at an ungodly hour on cold freezing mornings. Proats? What are proats, you ask? Proats is just a combination of protein and oats (porridge). You simply cook your oats as you normally do. When cooked you add in up to a scoop of protein. I generally use casein or whey for my proats. I also like to add some unsweetened almond milk, psyllium, a mountain of cinnamon, maybe some vanilla, lucuma powder, and some cacao if no-one is watching. Topped off with some banana, a chopped date, or berries, and another mountain of cinnamon, and you’ve got yourself a breakfast of champions. Nay, a meal of champions at any time of day (hello, IF aficionados 🙂 ). I don’t always have time to make proats. OK, it only takes two minutes to make, sure. But some mornings are a bit of a failure to launch, or there’s a business meeting at breakfast time, or <insert natural disaster here> … sufficient to say, I sometimes need a proats fix that I can take with me. Usually, that means cookies or bars for me. Not warm or comforting … until I grab a coffee to go with said cookies (or bars). Then I think I’d be set to roll. Proats. Cookies. Not exactly original. Just oat cookies with protein. But these need to be extra oaty and have some of the flavours I like in my proats. They’d have to be soft textured, not crispy. They’d have to have a subtle sweetness without being overbearing. They need a couple of textural elements in there just like when you eat a bowl of proats with fruit, nuts, chewy bits added. They’d have to include those hemp seeds I found by some wacky miracle last week. Wait. What? Did hemp suddenly insinuate its way into the food chain in Australia, approved by the Powers That Be? It would seem so. A frantic search online revealed to me that where, last year, Australian online hemp stores were unable to sell hemp food products here, now they are widely available. Huh??? Expect to see some recipes trialling hemp protein here as soon as I sort out which ones to try. But, oh mamma! Hemp seeds are eat-with-a-spoon delicious! Oh, and with dark chocolate? No. Words. So in they go with these cookies … adding extra goodness, protein, fibre, flavour and texture. A lovely gooey sweetness is what you get from the dates. Toffee flavoured stevia drops intensify it, and goes really well with the dates, without adding too much sweetness (I only added about 12 drops). You can use whatever sweetener you prefer. 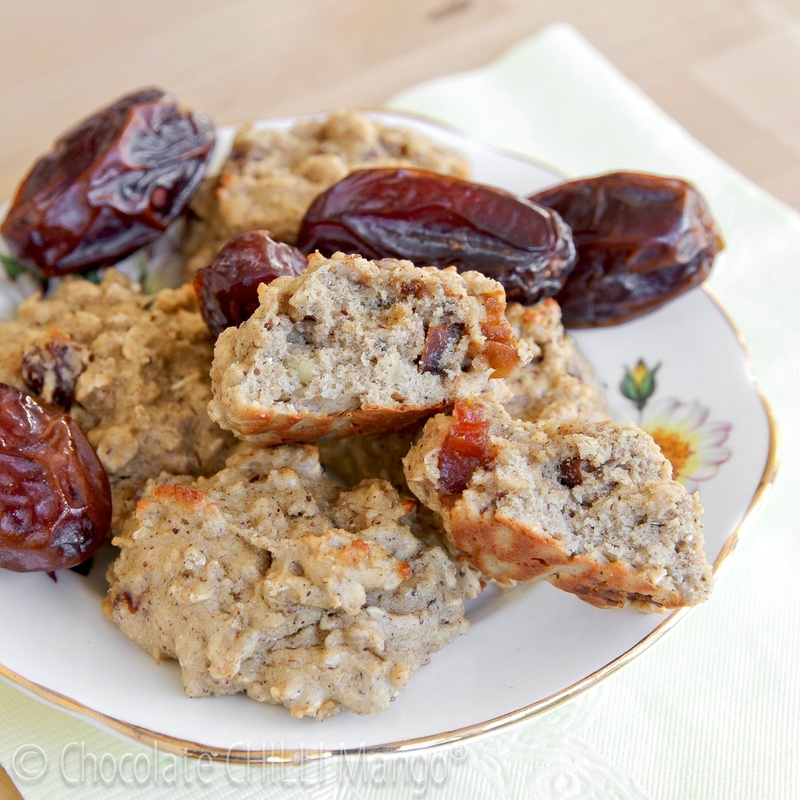 If you prefer to sweeten with fruit, add a little pureed date or banana. In this case, you may need to add a tablespoon or two of oat flour extra. These cookies are totally gluten-free if you make sure to use certified gluten-free oats. If you use only pea protein, they will also be dairy free. 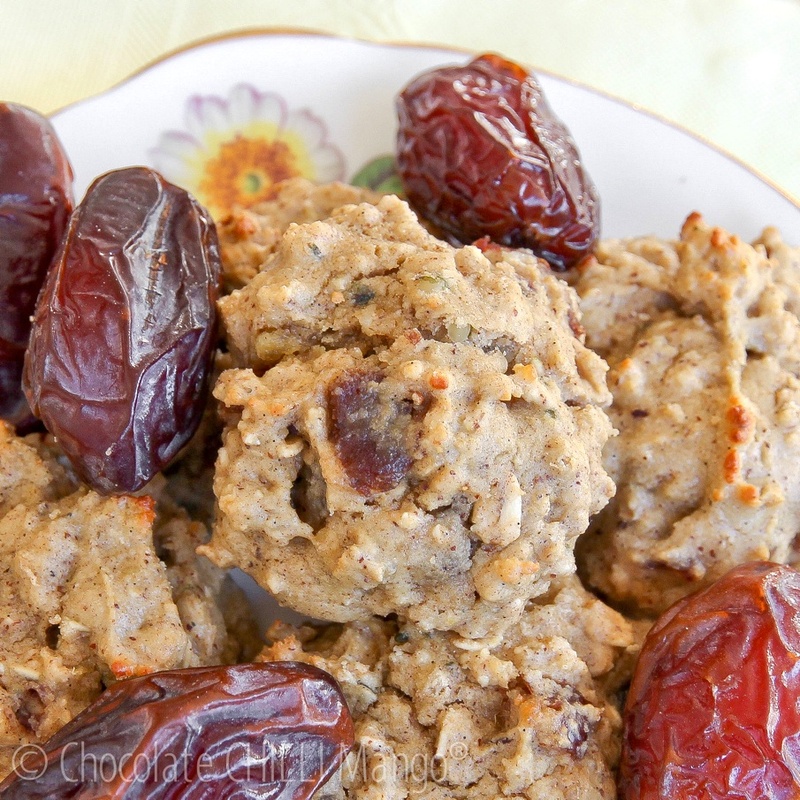 For anyone following a low FODMAP diet, and who may not be able to tolerate the small amount of dates in this recipe, you can substitute whatever you like. 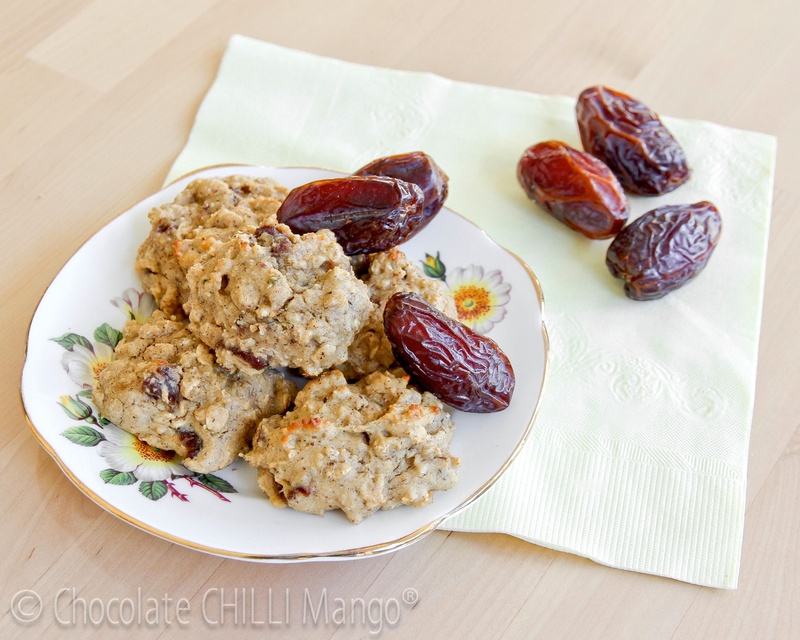 These cookies will be fantastic if you substitute some nuts, a small amount of dried berries or, holy Ek Chuah!, chocolate chips or chunks instead of the dates. Add whatever you like. 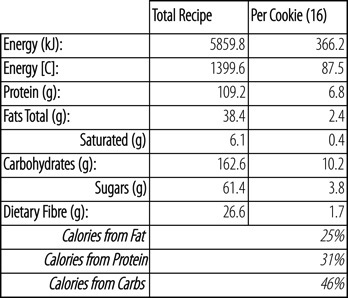 One serve of two hearty cookies yields around 175 kCals, 13.7g protein, 20.3g carbohydrates (7.7g sugars), 4.8g fat (0.8 sat), and 3.3g of dietary fibre. Higher, faster, and stronger than your average cookie. Super proaty. She’s so into her new healthy way of eating, she insisted there be no dessert or cake for Mother’s Day this year (my trauma at not baking something special is a whole other story). Instead, she preferred these cookies with her coffee. *I used a 50/50 mixture of 30 grams each WPI and pea protein isolate. I did this mainly because I’m running out of WPI and waiting for my next delivery. But I also think the texture is better with this mix. However, if you wish to use 100% whey, it should be perfectly OK in this recipe, given there is a substantial amount of oats to keep the texture soft. **If allergic to tree nuts, use peanut butter, or sunflower seed butter or tahini. Alternatively, substitute with organic butter or coconut oil, to accommodate any allergies or intolerances. Line a large baking sheet with non-stick baking parchment. Dice the medjool dates into small, even pieces. Place all ingredients into a large mixing bowl. Using the paddle attachment, mix until the dough comes together. It will be a little sticky. You could refrigerate the dough for 30 minutes, to make it easier to handle, if you wish. I didn’t bother. Drop tablespoon sized blobs of the dough on to the cookie sheet, leaving a little room between them. You can flatten them a little, if you wish. Bake for about 8 – 10 minutes. Do not over bake. Remove from the oven and let cool on a wire rack. I’ve based the macros on the ingredients as per the recipe, above. For the protein, I’ve used the 50/50 of whey and pea protein isolates that I have specified. If you use 100% of either the macros are essentially unchanged to any significant degree. If you use other types of whey and/or brands, there may be some variation. Please factor in any changes to macros due to substitutions for ingredients, as appropriate. I have included macros for the full recipe if you choose to make larger (less) cookies per batch.